We went through 7 years of infertility and lost four angels to miscarriage before we had our one and only live birth. Conception and pregnancy were both nightmares. There was nothing easy we did to either get or stay pregnant and giving birth was not much different. These experiences were filled with fear, dread and dealing with multiple roadblocks. There were a number of midnight trips to the emergency room before my one scary live birth story. But, at the end of this ordeal, was a healthy, happy baby. We were overjoyed and settled quickly into everyday parenting of our first miracle child. It is no surprise then, that it took us four years to even begin to discuss how we would add a second child to our family. We decided we wouldn’t pursue fertility treatment but instead adopt to grow our family. We used a local agency, added our names to a number of listservs, and jumped feet first into the throes of the ‘paper chase’. As in birth, our adoption was eagerly anticipated with great exuberance and expectations of a future filled with happy parenting complete with a built in big sister. Add we did on May 23, 2001 in the lobby of the third floor of the China Hotel, a stunning little Cantonese beauty! Another long road traveled but this time through adoption. Our expectations the second time were the same–a healthy baby. This time, however, the twists and turns were not in the conception or adoption, but in the parenting of our new little miracle. So often I heard other eager waiting parents refer to their adoption as a ‘leap of faith’. But then life is a leap of faith too. No one is guaranteed tomorrow or a perfect child–not through birth or adoption. Although feeling thoroughly prepared through research, education and support groups, our life changed in a number of ways the day little Xiao Rong entered our family. It was a heart-pounding, exciting and exhilarating experience full of anticipation when the orphanage personnel handed over this little tiny twig of a baby. This minuscule little girl was 14 months and a ‘whopping’ 13 pounds (the size of a four-month old). In the months to come, we would discover our sweet little girl had a number of developmental delays, chronic anxiety, post traumatic stress disorder (PTSD) and a variety of letters and acronyms all boiling down to one damaged little girl who had suffered. She desperately needed a great deal of professional care as well as a savvy family to navigate a labyrinth of procedures, treatment and a magnitude of healing. I remember flying home from China and wondering how this child was going to change our family dynamic. Our life would be out of the ordinary and not what we had planned. Having had more than a decade of experience teaching handicapped children, and being an older parent, I knew life would be ‘special’ and I worried about being ‘up to’ the tasks ahead. 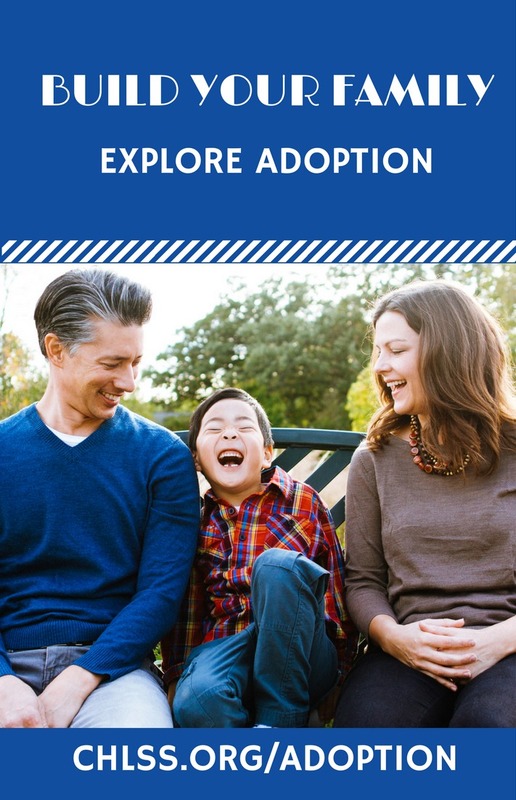 Before we made this trip to China, my husband and I agreed the child selected by the CCAA (Central Adoption Authority for intercountry adoptions in PR China) and entrusted to us would be the child we were destined to parent. This was our leap of faith. I think to deny the feelings of loss, loss of that dream, of a whole child, a ‘normal’ little sister to our birth child Zoë, would be to deny what everyone hopes for when they have a family. But I felt to accept this circumstance as a loss of a dream was somehow rejecting our child. I came to learn that accept ing this loss was the biggest hurdle to clear and doing so enabled me to move on and to truly appreciate the miracle this baby was in our hearts and lives. At first I felt very alone. It was another loss in a string of multiple losses, more challenges and added stress. I think a key component to successfully working through this is the strong bond between my husband and me. Our marriage withstood the loss of four babies and because of the willingness to communicate on new levels and to work as a team, we continue to carefully navigate the maze in order to meet our daughter’s special needs, taking them one day at a time. Sometimes I feel myself tensing up, thinking about what the future holds. I worry about what I might have to cope with tomorrow. But then I look to my daughter. She is my hero, my miracle. What adult do you know who could have survived abandonment at birth, month after month of neglect in severe physical pain, all with no coping skills, no language with which to answer back, no support group, no therapist to talk to, no friends, and no family to nurture her. She was stripped of her dignity, her future, and her culture; kidnapped by strangers (that’s us, as adoptive parents) but she never gave up. I see her tenacity and her strength. It gives me strength. I am so honored to be her mother. God must really believe I have the integrity, skill and love to have put this little life in my hands. Yes, it is a responsibility and sometimes feels like a weight on our shoulder; but it’s also an awesome gift and a miracle. It’s been 5 years and thousands of miles since I first experienced those feelings of grief on the plane ride home to the US. Instead of loss, I am just beginning to realize how really fortunate we are. When adopting internationally, you’ll often hear how wonderful it is that you ‘rescued’ an orphan. But the truth is, our little Cantonese beauty rescued all of us. To live life without our youngest family member is unthinkable. We’ve been so fortunate and not once, but twice blessed with beautiful daughters; one who grew under my heart and the other who grew in it. Zoë born after a 7 year struggle with infertility and pregnancy loss, and Rebekah Ruth Xiao Rong adopted May 23, 2001 in mainland China. What more could any parent ask for? I have discovered some helpful tools to take care of myself, other children and marriage. • Eat healthy foods and drink lots of water (but don’t forget that occasional chocolate! Nancy Hemenway, Executive Director of INCIID, the largest infertility information and support organization in the US. She is a mother by birth and adoption. This Article was originally printed in Adoption Parenting: Creating a Toolbox, Building Connections and was reprinted with permission from EMK Press.